As predicted, video is becoming the content of choice in 2015 and it shows no signs of pausing. According to eMarketer, analysts are bracing for the US audience for digital video (video consumed on any digital device) to pass 200 million in 2015 – two-thirds of the entire population. Looking at the end of last year, YouTube was the number two search engine in the world. A third of all online activity was spent watching video. It was estimated that each day, 100 million Internet users watched a video online. And, more video content is uploaded and shared on the Internet in 30 days than all three major US TV networks combined have created in 30 years. It’s clear – we’re addicted to video. Today, video is streamed to us in a range of formats on a variety of competing, social platforms like 6-second Vine videos, 15-second Instavideos, 2 – 3-minute auto plays on Facebook, in-line news feed on Google+ and now we’re seeing LinkedIn’s video feature being released as well as videos being pinned to Pinterest and even talk of auto-play videos on Twitter’s feed. For brand marketers, the result is an ongoing upgrade of advertising options and tech features to embrace in 2015 – all surrounding video. Twitter (owns Vine) and Facebook (owns Instagram) are two social brands leading the way with video ad opportunities. Facebook in particular has way upped their video reach and even passed YouTube for video views on desktops, delivering nearly a billion more than YouTube. If you’re on Facebook, you’ve probably noticed it’s autoplaying of videos feature – a feature that has a great advantage over YouTube’s user initiated engagement. As Marketing Land reported, in September, Facebook announced it was generating more than a billion video views daily, which was a result of the site adjusting its newsfeed algorithm in June. The algorithm update enables serving up more relevant video content to users that were more likely to watch a video. Sean Mills, president of the mobile news operation NowThisNews claimed “our growth in monthly Facebook video views has increased by 30x since July, and we’re seeing tens of millions of views on Facebook each month.” To give you a dollar amount – just 24 months ago Facebook did $1 billion in revenue and now does $4 billion. That’s impressive. Facebook also credited the explosion in video advertising to users who are posting more videos themselves too. Without user interest in the format, the ads would be jarring in the News Feed, but the numbers prove positive the interest is more than there. Facebook is even pressing play on their own video ad campaign with the latest launch of their three, 60-second ad spots on what friendship means to people. And they succeed on almost every level as these ads are gritty, immediate and powerfully evocative. They show not only the true essence of the brand and the values it was founded upon, but also the power of video to resonate with such a wide audience even in a quick 60 seconds. Twitter is also proving its power with its own tech feature updates and ad opportunities. Twitter recently added the ability to capture video within the app up to 30 seconds in length and allows you to edit them inline with basic cuts. As Tech Crunch states native video might mean people resort to using the Twitter-owned Vine less for sharing videos, but the focus here is to keep users within the service, and provide an experience that not only offers inline content viewing, but also ensures users don’t pop off to another destination and potentially not return. This is great news for brand marketers. Twitter’s video content restrictions (30 second limit) a good length for advertisers looking for new ways to reach audiences on the service. Twitter also announced their plans for this inline video feature are to give marketers a new way to share videos – with autoplay. The autoplay feature allows marketers to create a six-second video preview, a quick opportunity to entice users to click their ad. However, it doesn’t have to be the first six seconds of the video. Brands can choose which six seconds to take for the autoplay preview. It’s no secret that getting clicks on video is all about an exciting hook from the start. The autoplay video will also not have sound until a user clicks to watch the promoted tweet, like Facebook. But advertisers don’t pay until they get that click. Brands will in total be offered up to 10 minutes of video time, but no worries – that’s like an eternity in social media time. No social video article today would be complete without mentioning Instagram. 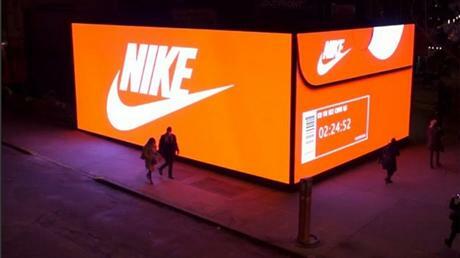 The Facebook-owned photo and now video sharing app has exploded to 200 million monthly active users with 20 billion photos and videos shared in total and more than 2500 brands have now joined Instagram to date with the top brands being Nike, Starbucks and Adidas. Since launching its video capability, there has been a 37% increase in Instagram shares on Twitter and Instagram videos are creating two-times more engagement than Instagram photos. Besides brands taking advantage of organic reach on Instagram, Instagram now offers video ad opportunities. Starting in October of 2014, Instagram now allows advertisers to run 15-second video ads that’ll appear in your feed the same way that sponsored image posts have for almost a year. Either way, it’s clear brands are embracing the video trend on Instagram, especially big brands like Nike and Victoria Secret who were recently featured in AdWeek for their intense follower gain from their social Instavideos. Although it’s clear these brands didn’t use their in-app video recording capability, Victoria Secret more than doubled its audience from 4.2 million to 10.5 million, while Nike skyrocketed from 4 million to 12 million. Gap is another brand embracing video on Instagram with the first-ever Instagram micro-series called Spring is Coming to introduce their Spring line. The micro-series tells a timeless tale of boy-meets-girl romance between comedian and “Marcel the Shell” creator Jenny Slate and indie actor Paul Dano, in his commercial debut. The first clip hit more than 7k views right after it’s release. As video continues to take over as the content of choice in 2015 and on, social platforms and digital advertising opportunities will continue to respond. For brand marketers, this is an ongoing upgrade of opportunities for reaching and connecting with audiences using video. It’s clear consumers want this format. The numbers are there. Video is becoming a luxury of the past for brands, but don’t let this shake you. There is a close to endless supply of tools today for mixing up your video marketing strategy. It’s about creating consistent and relevant media that voices the essence of your brand with unique and meaningful messaging.